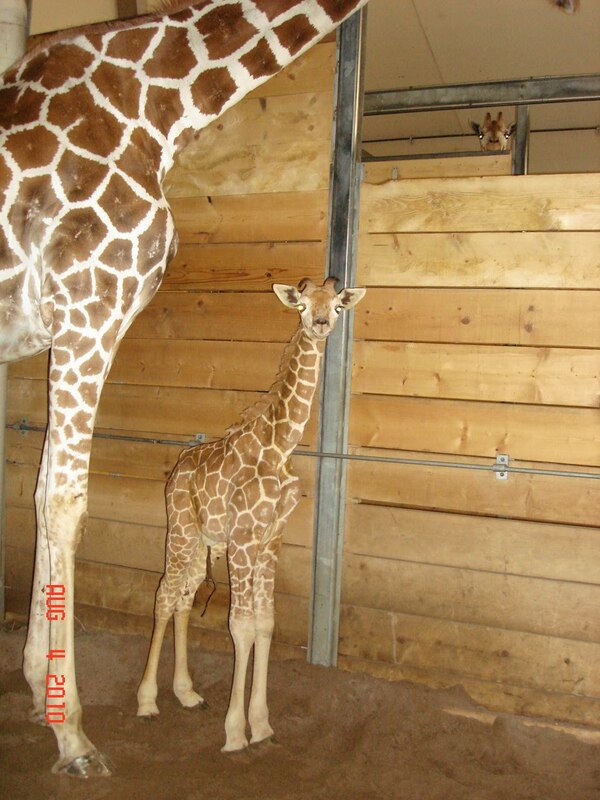 On August 3rd, zoo keepers came into the giraffe barn to find the newest addition to Como Zoo. 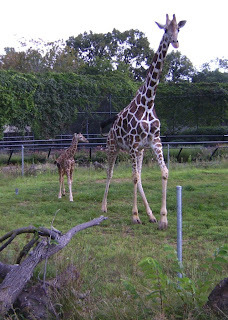 Mother giraffe Daisy and the little one (if you can call almost 6 feet tall little!) are doing well and made their debut to the adoring fans who braved the extreme heat and humidity last week. Giraffes are pregnant for approximately 15 months and babies come out weighing between 120-150 pounds and standing close to 6 feet tall. 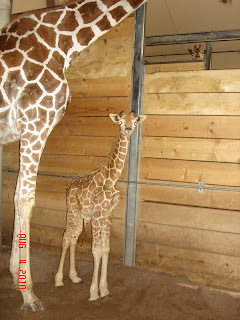 Zoo keepers were unsure of Daisy's exact due date and had been anticipating the new arrival for the past several months. 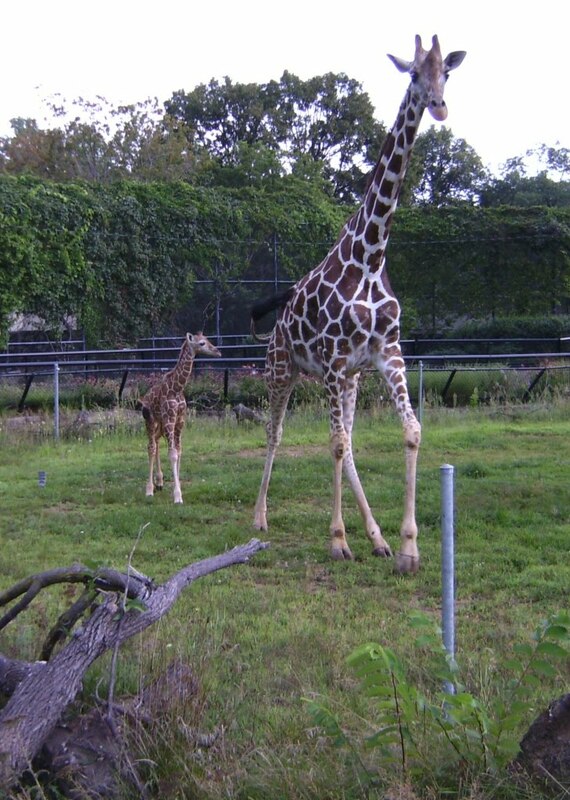 "Howie" and Mom can be seen with Aunt Clover on the outside display every day unless there is lightning in the Como area or until the weather gets too cold. Come out and see him soon. Check this out from KARE-11!